Almost everyone has gone electronic one way or another nowadays and getting access to your favorite magazine has gotten easier with Zinio. My first time using Zinio was at work with PC Magazine. I found it easy to use and I liked the fact that I had access to past issues of our subscription. As soon as I get my new iPad or tablet (still haven’t decided which) I plan on getting my Lou Lou subscription digital. Zinio has been around awhile now. They are the world’s largest digital newstand with magazines from around the world in all kinds of genres; beauty, tech, home, gaming, sports, celebrity. 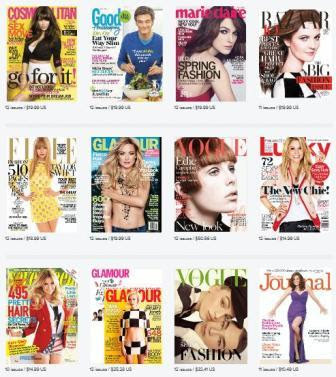 Did you know that Zinio delivered more than 70 million digital issues in 2012 alone? Or that Zinio has over 5,000 digital magazines on its digital newsstand with readers in more than 200 countries. 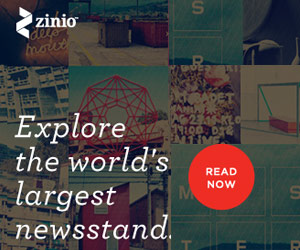 With Zinio, you can have access to thousands of top magazines from around the world. You can browse and purchase subscriptions or single issues instantly from your computer or mobile device to read wherever and whenever you like. The Explore section lets you read - even without a subscription - thousands of articles from your favorite magazines and share them with friends. What’s better is that Zinio is a free app that is available for use on iPad, iPhone, Android mobile phones and tablets, laptop or desktop and Kindle Fire. Up to 50% off select titles. Be sure to check it out because it ends March 19, 2013. Zinio has graciously given me 10 magazine subscriptions; one for me and 9 subscriptions for my readers to any of the magazines available in their store. Go to Zinio, explore and let me know what subscription you would want. 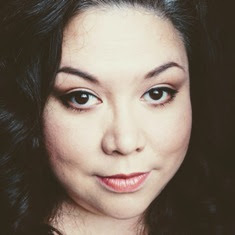 Giveaway ends March 27th - Open internationally! I would choose LouLou. Thank you so much for the opportunity! Oooh fab giveaway! Cheers Teresa! I'd love Cosmopolitan mag! My fingers are tightly crossed! I think I would get Vogue Italia -- seems fun! I'd love Science!! Thanks for the giveaway! I'd love British Vogue the most since you can't get it in the US! Thanks for the giveaway!